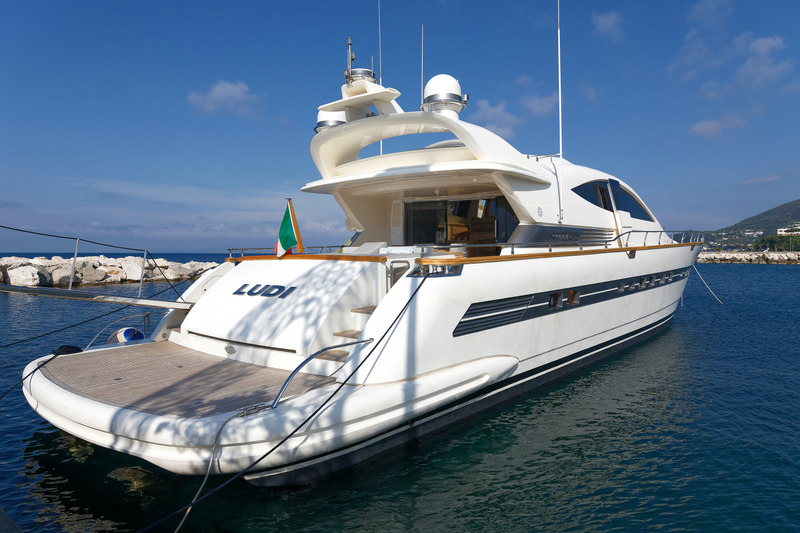 Motor yacht LUDI is a 26m (86,3ft) Cerri 86 flying sport model from 2009, having benefitted from a refit in 2016 and offering accommodation for up to 8 guests in 4 cabins. 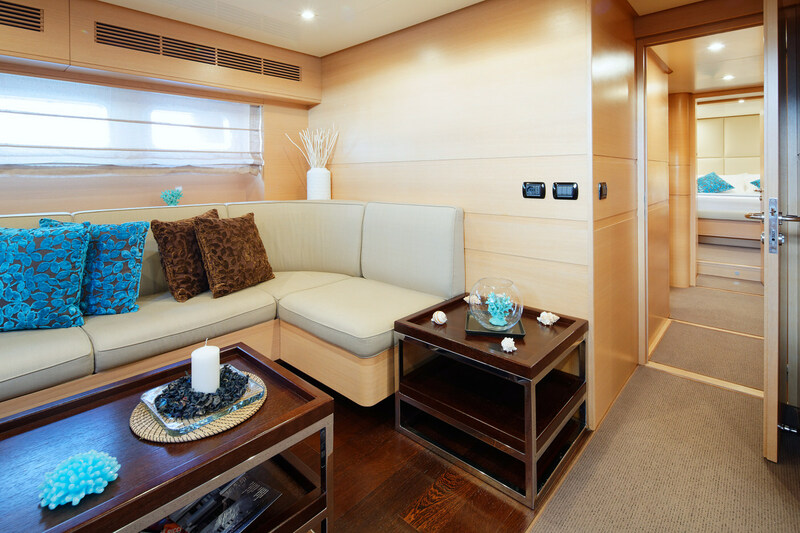 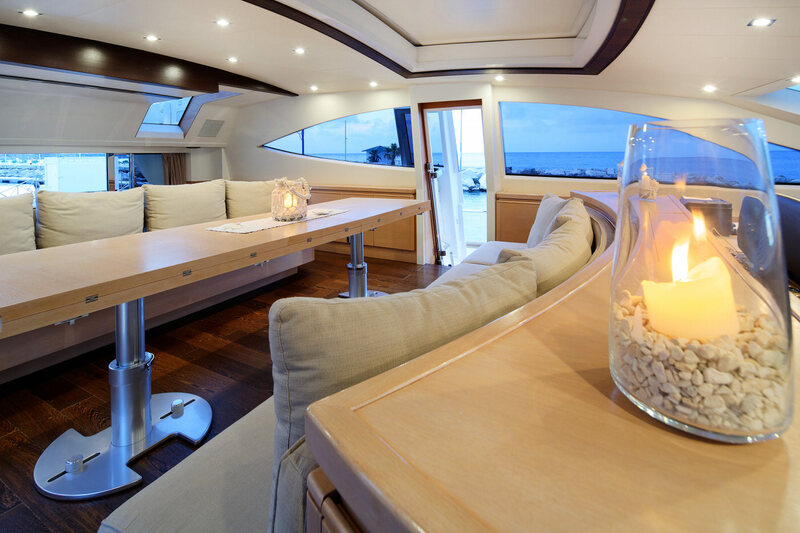 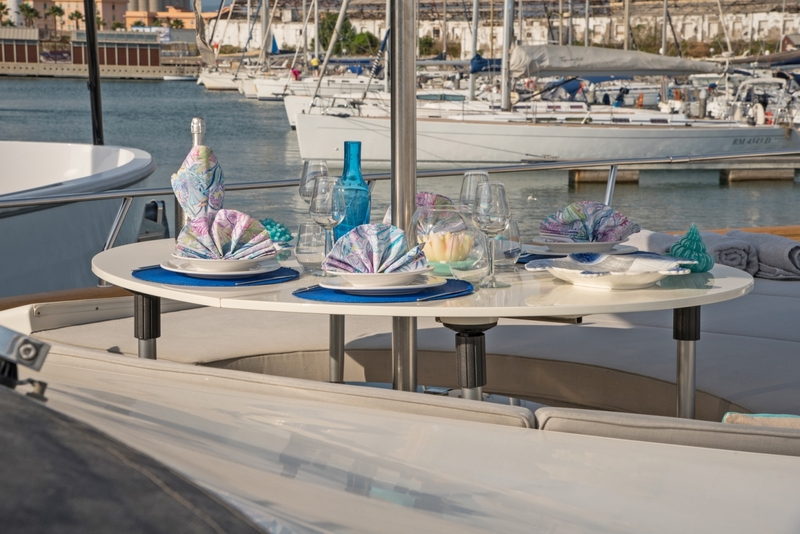 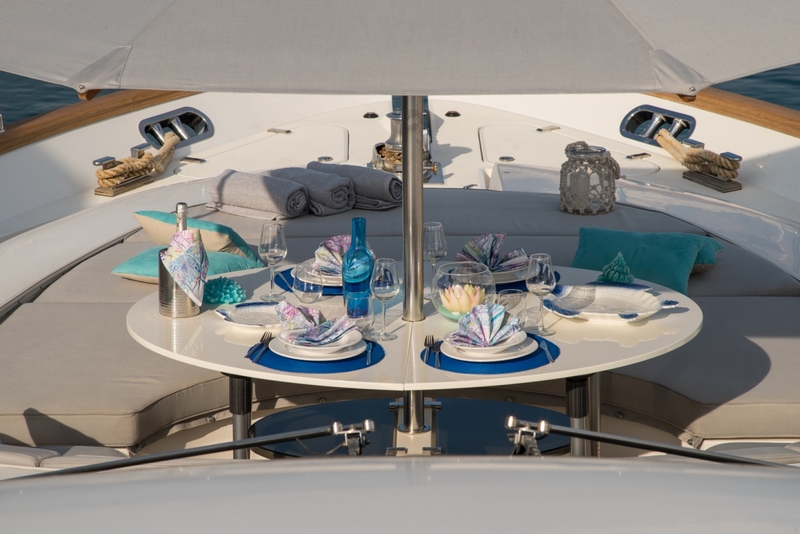 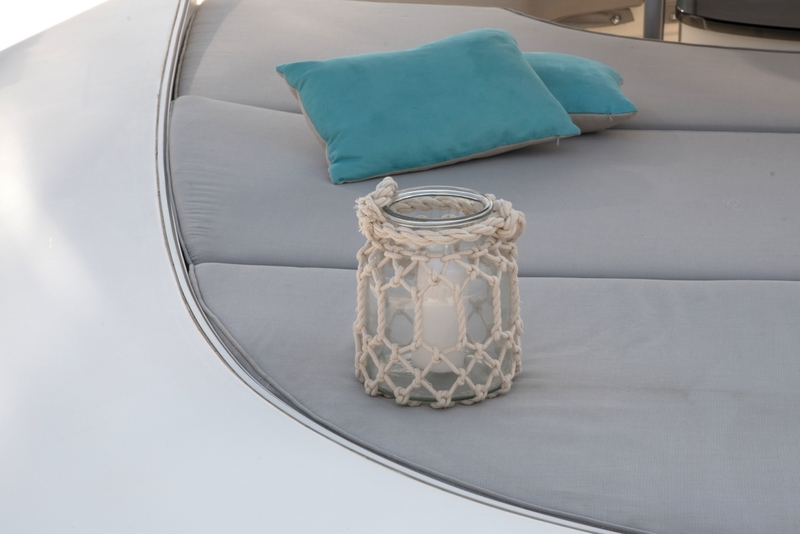 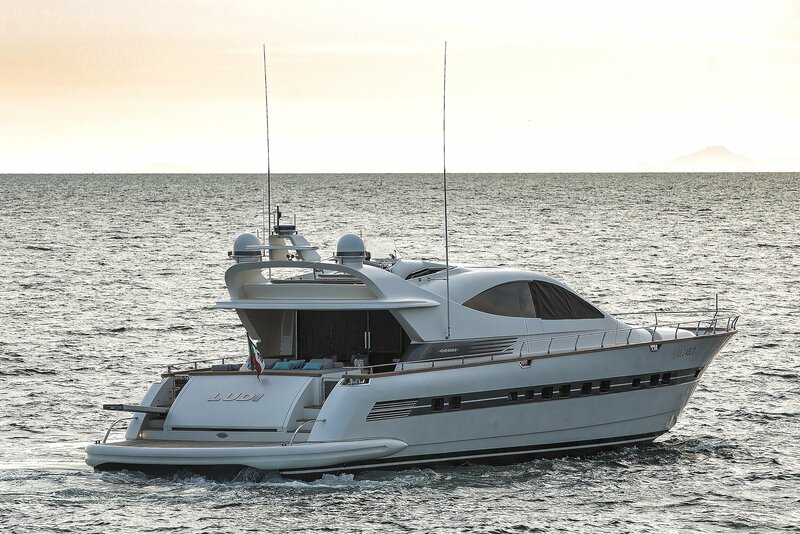 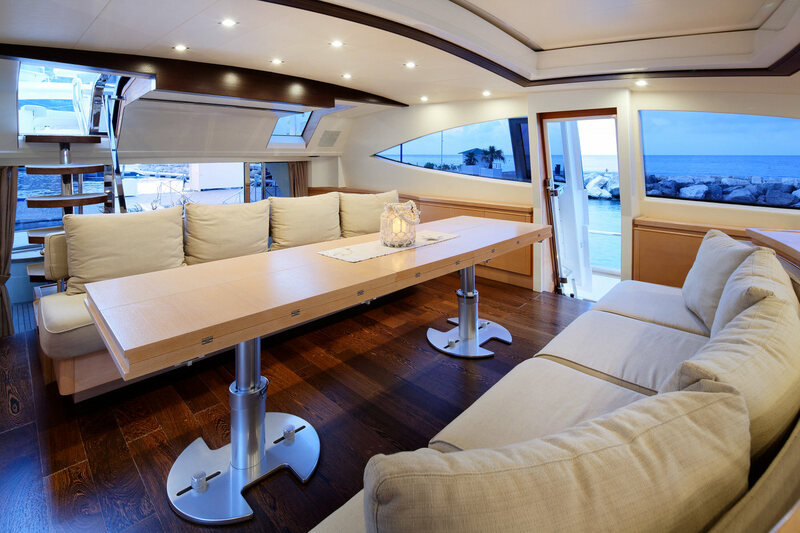 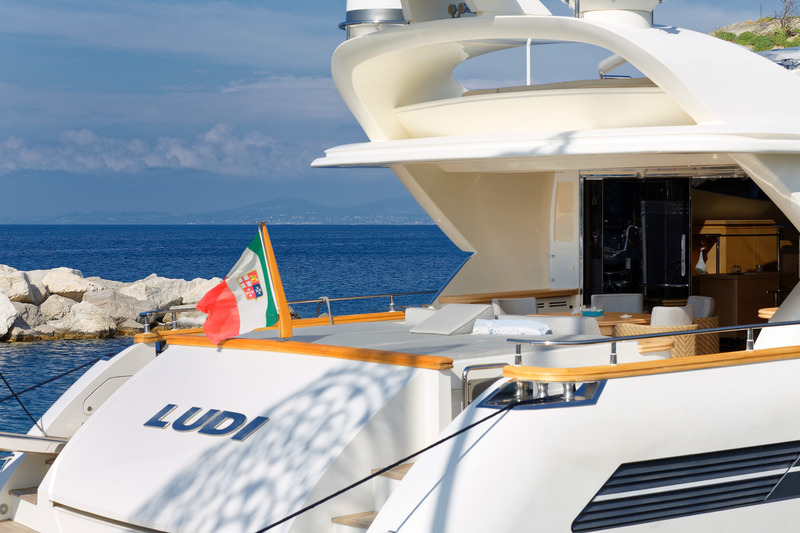 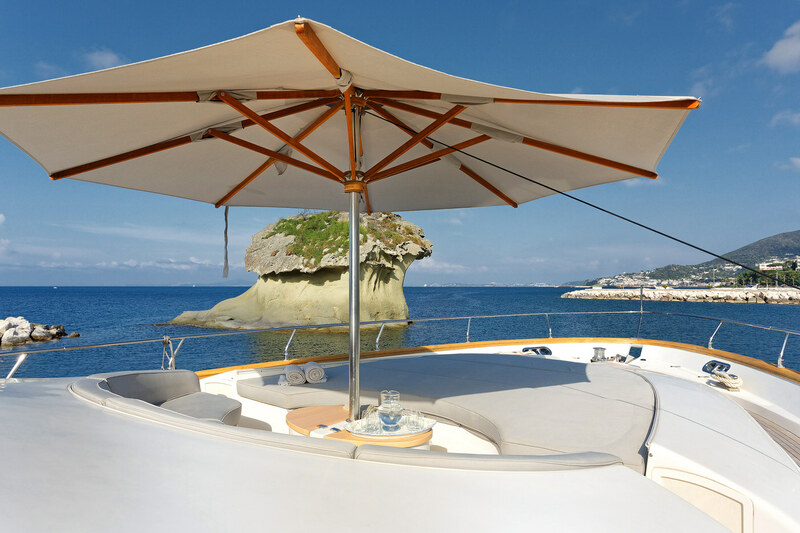 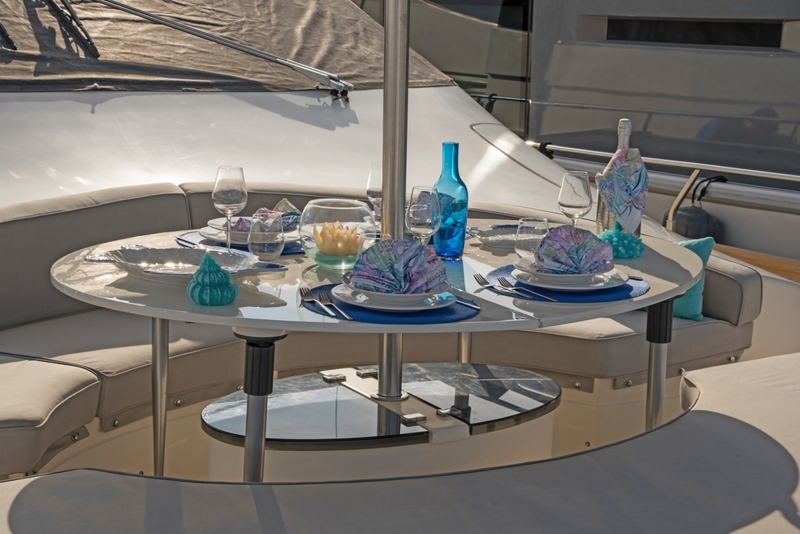 Extremely functional and spacious for a boat her size, LUDI's interior is modern and elegant. 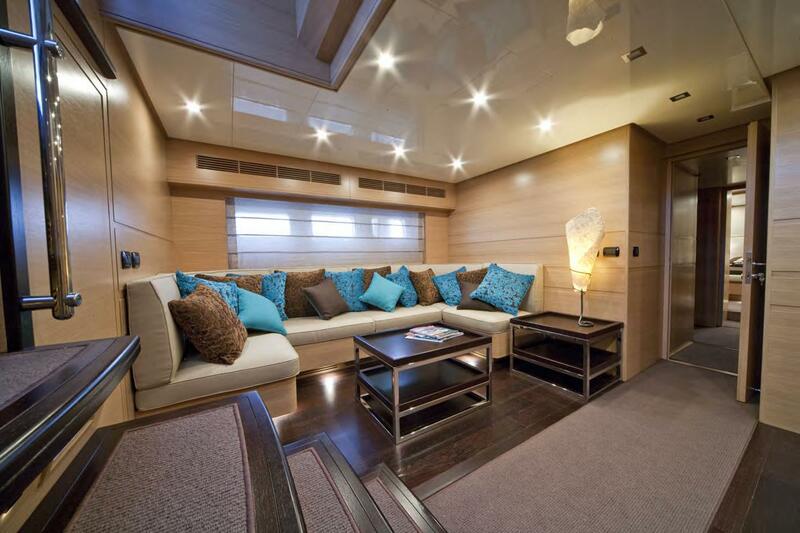 Her wide upper salon offers comfortable settees, a coffee table, sky TV as well as a dining area with a handy corner bar. 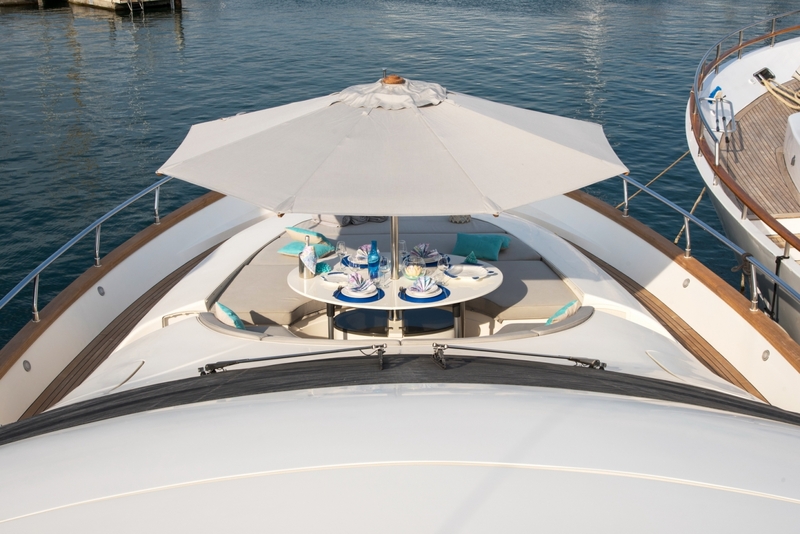 Plenty of natural light floods in through predominant side windows, as well as a large overhead retractable roof top, which provides added brightness and refreshing sea breezes. 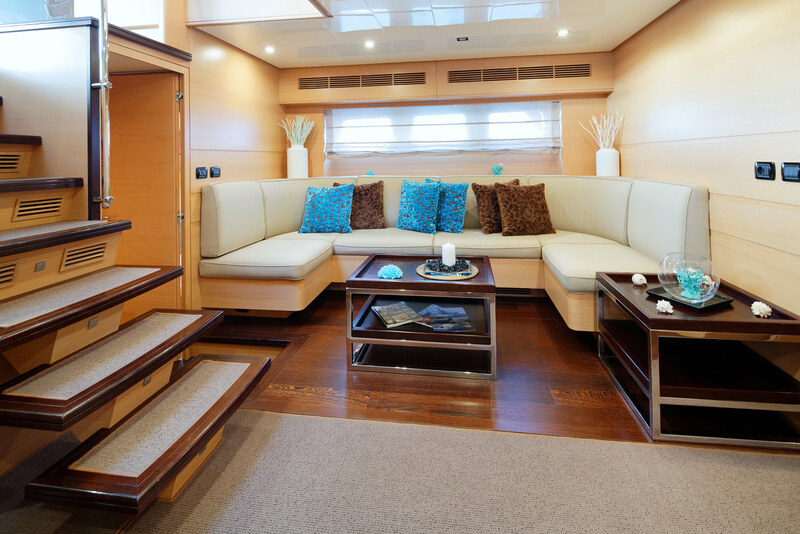 A lower salon, which is accessed upon entry through the aft sliding doors, boasts a large plush sofa and coffee table, perfect for complete relaxation. 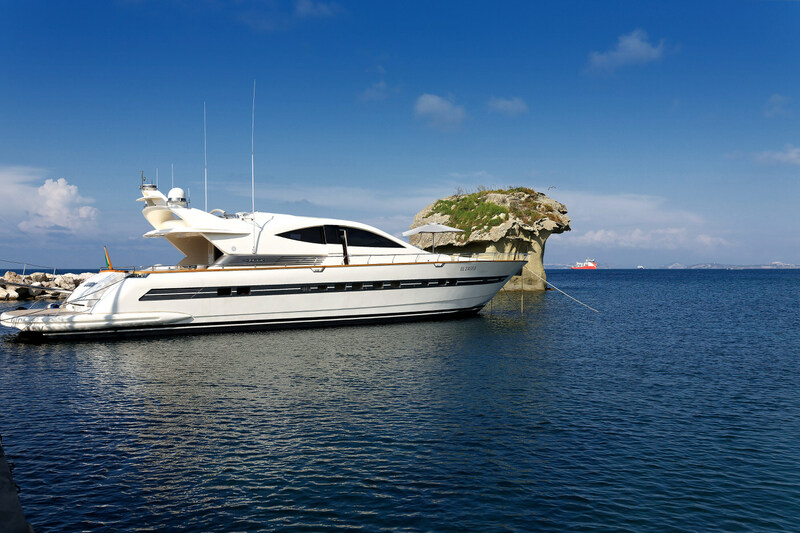 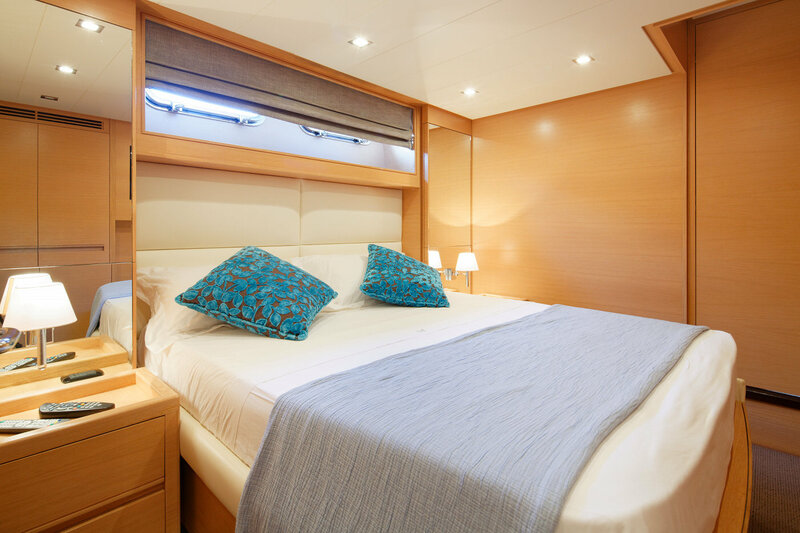 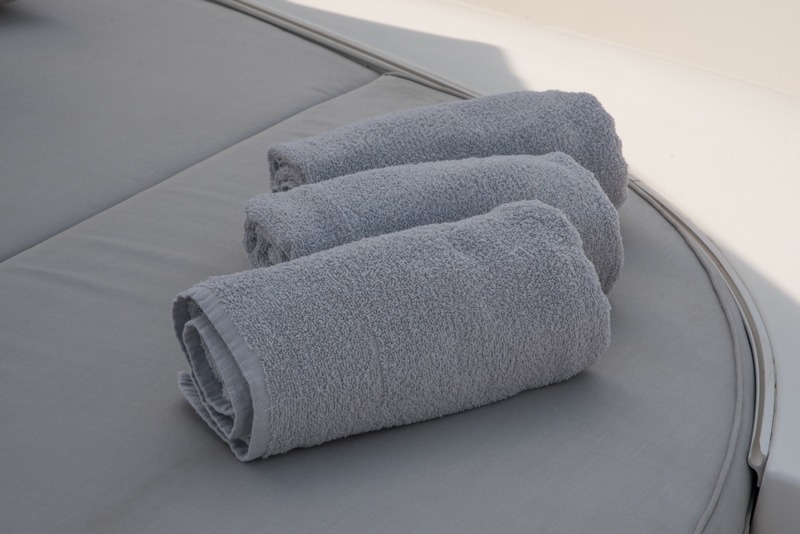 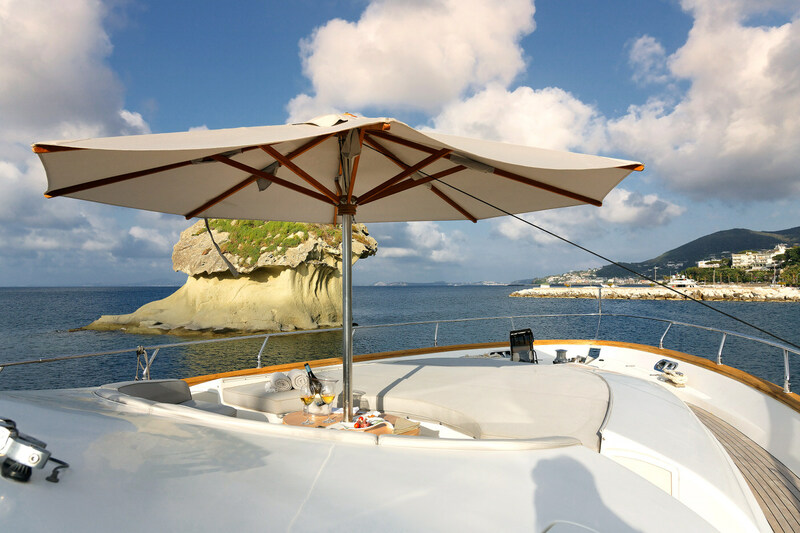 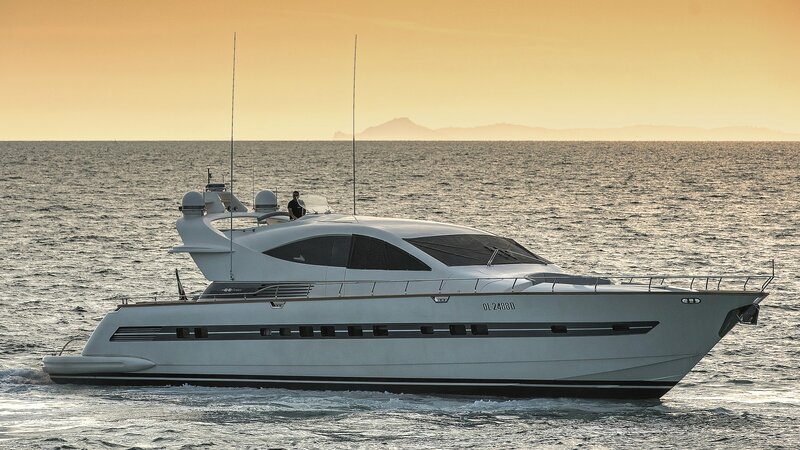 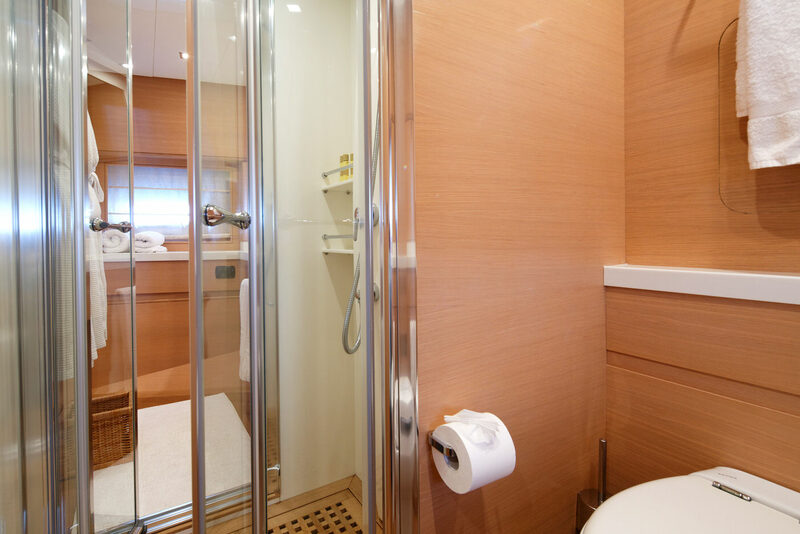 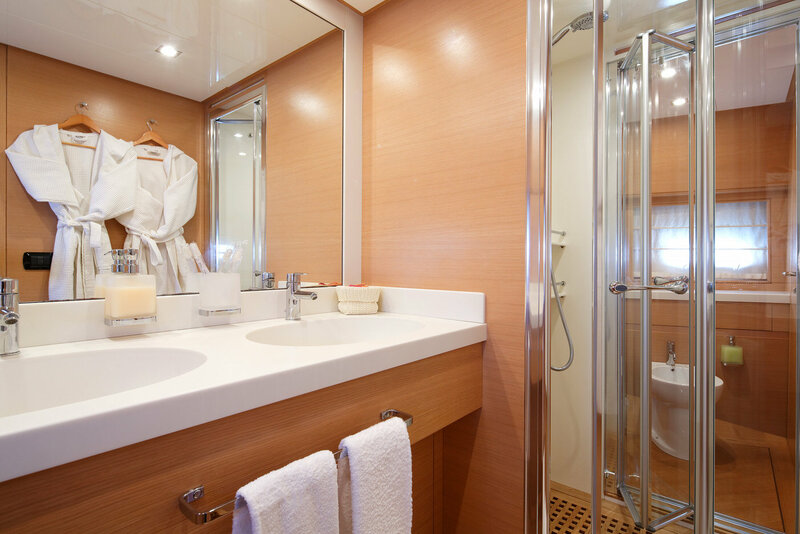 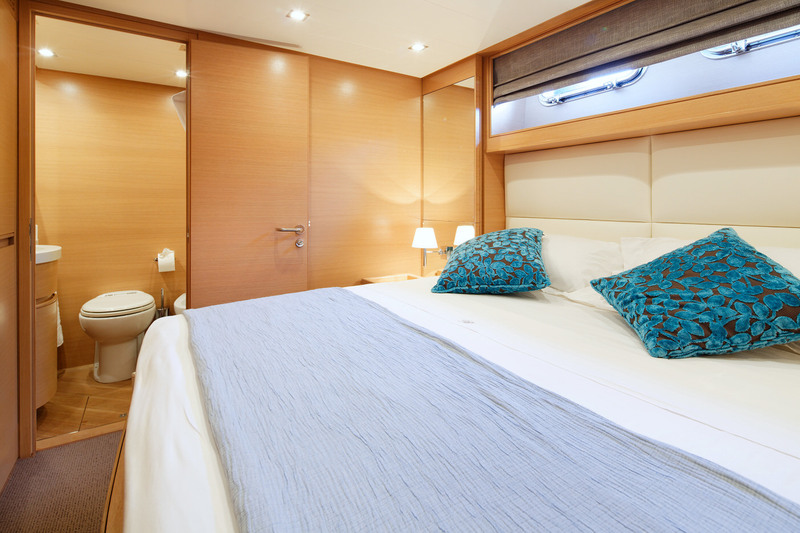 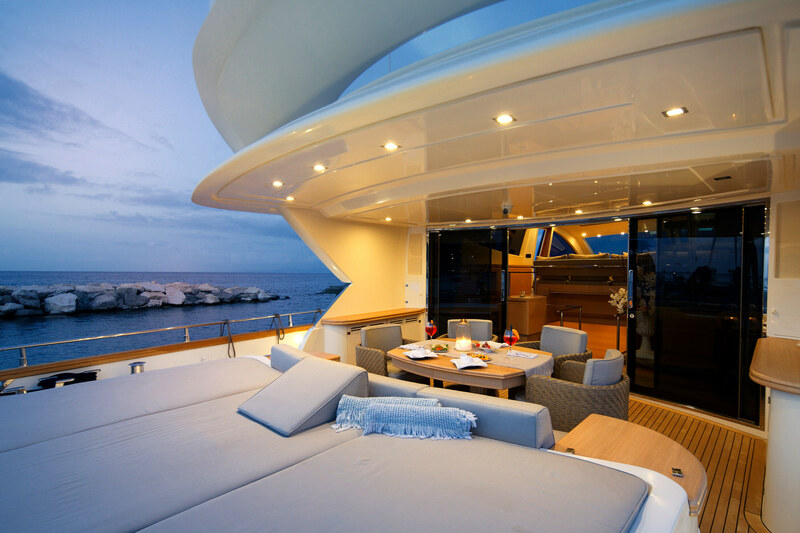 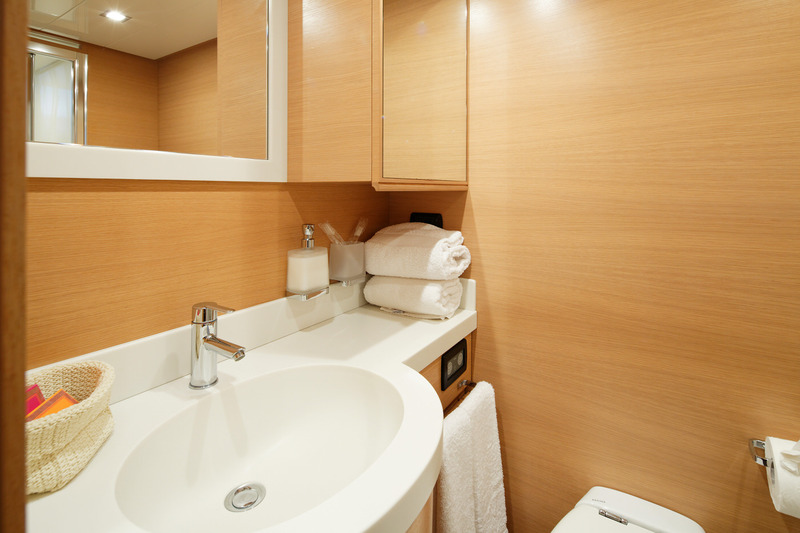 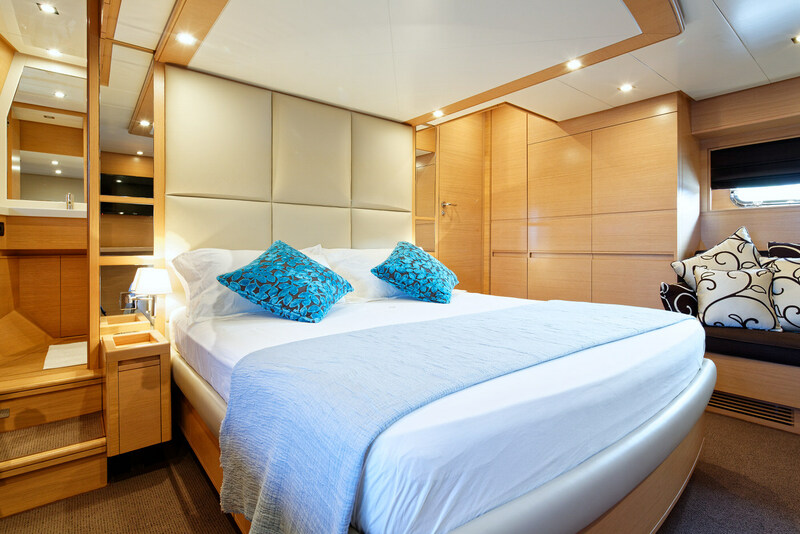 The yacht offers 4 very spacious cabins that accommodate up to 8 charter guests. 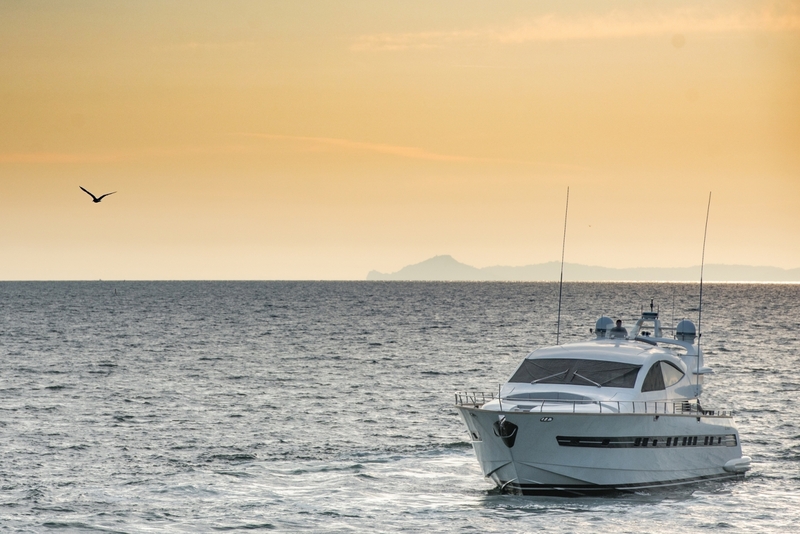 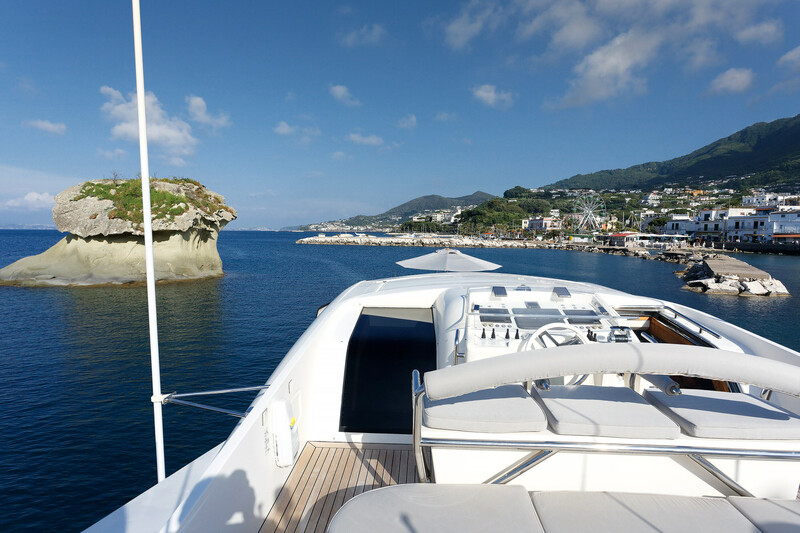 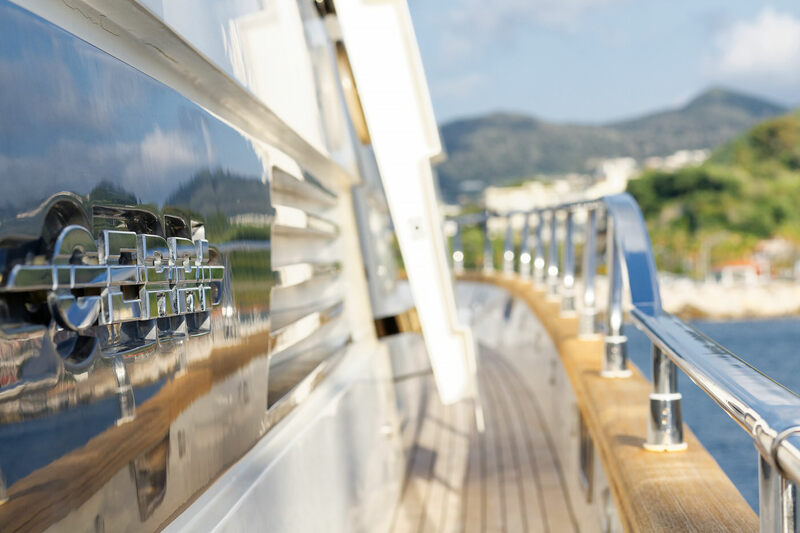 Built by Cerri Cantieri Navali, her exterior impresses with modern and sporty lines, teak decks and plenty of exterior space that all guests will appreciate. 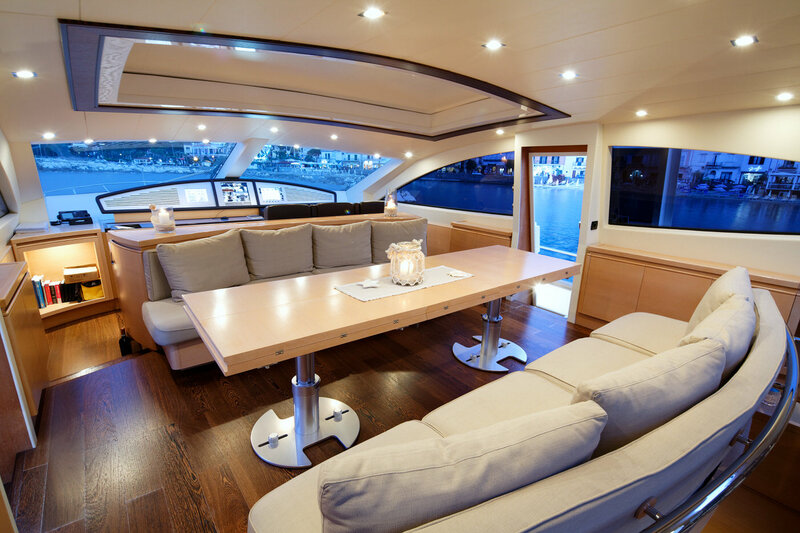 Her cockpit is spacious with comfortable seating and a table, ideal for guests to enjoy alfresco dining. 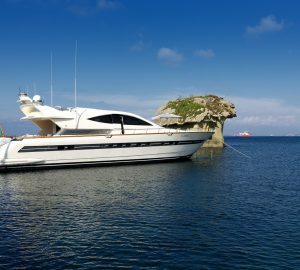 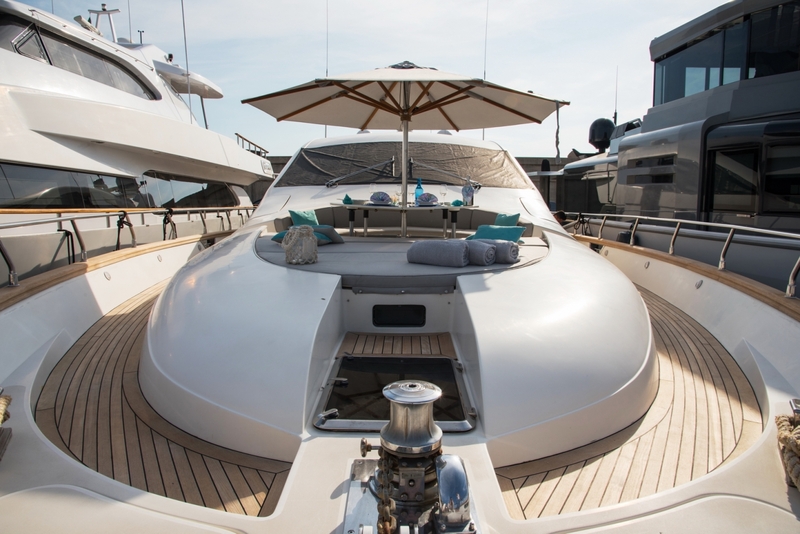 She has two large sunbathing areas, one on the foredeck, the other astern, with a comfortable bathing platform which gives easy access to the sea. 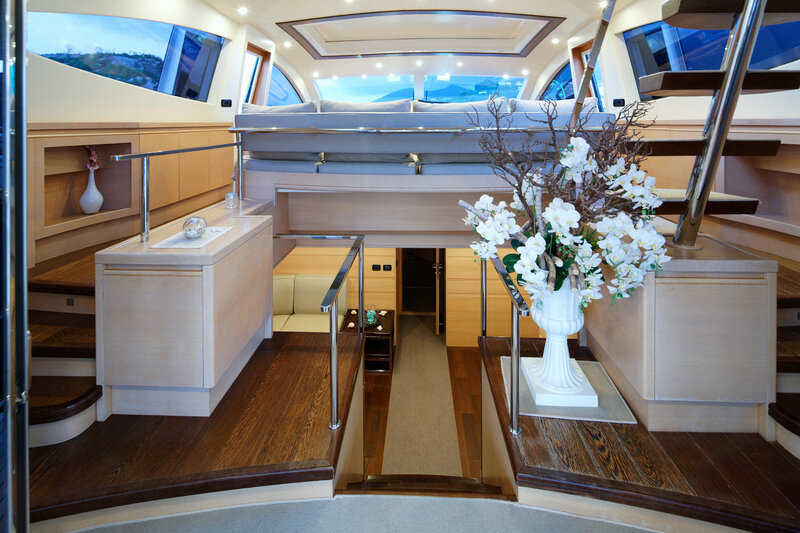 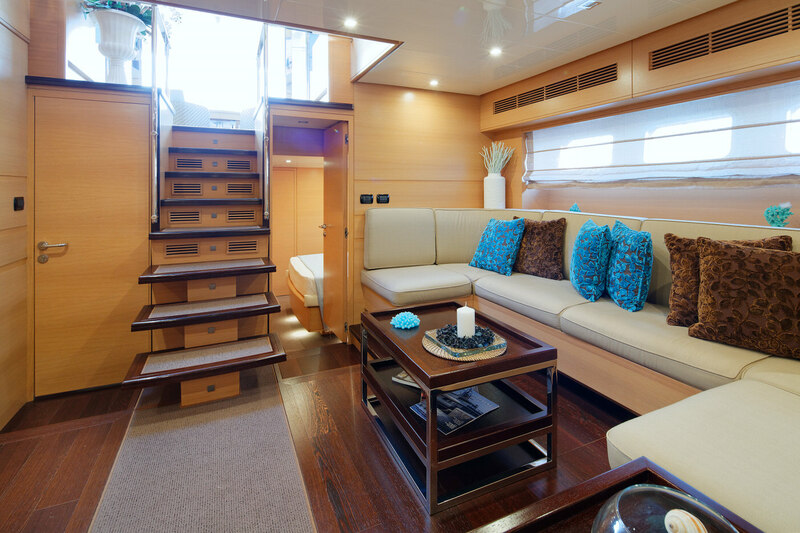 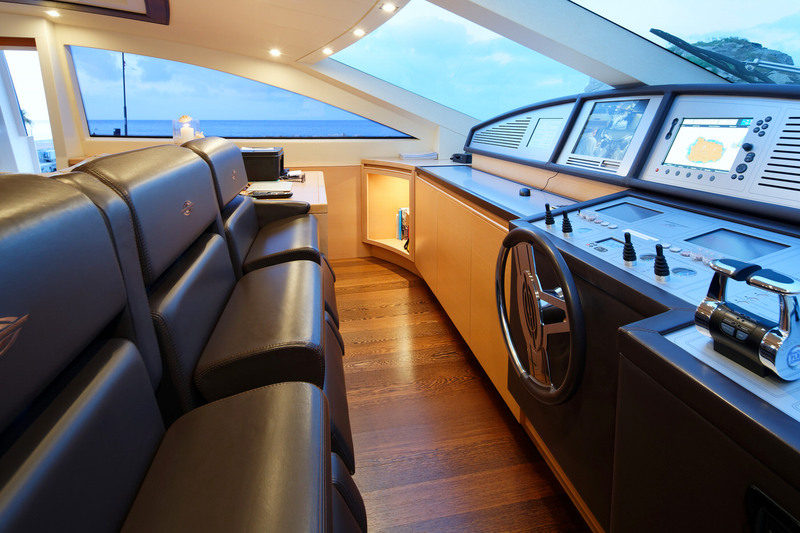 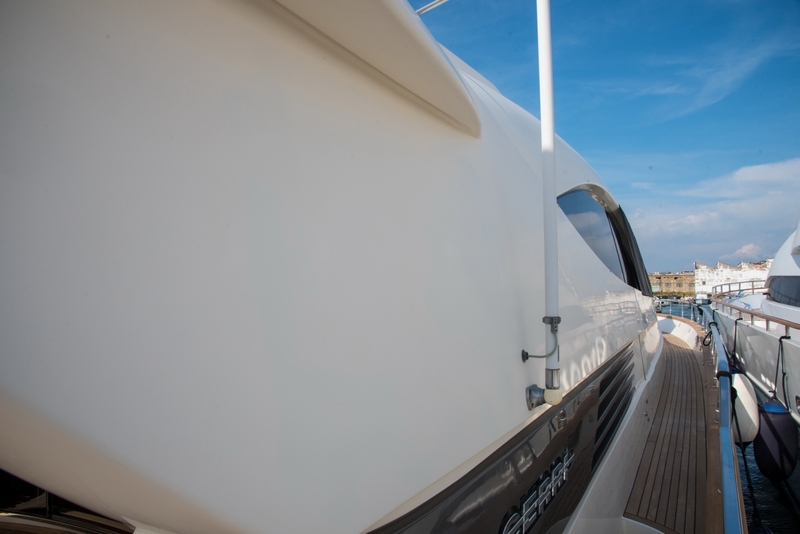 Her flybridge is accessed from the upper salon and features an additional large sunpad and helm station. 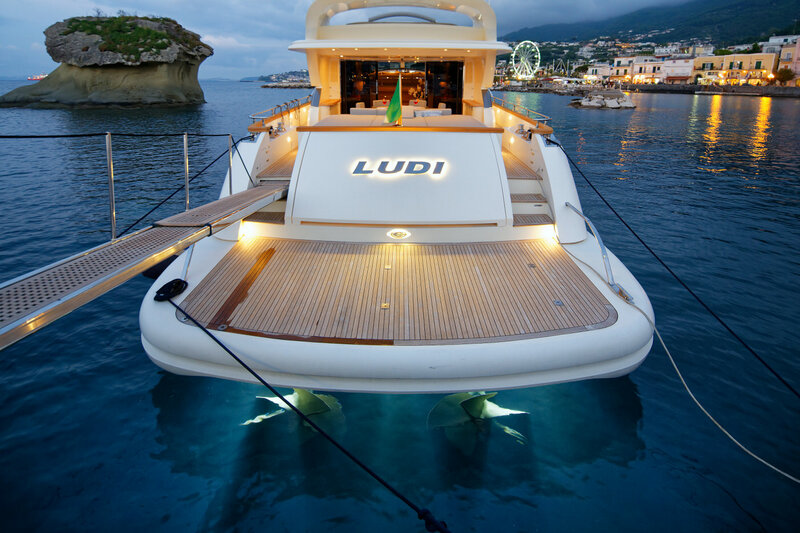 With a GRP planing hull and 2 x MTU 12V 2000 M94 engines, Motor Yacht LUDI cruises at speeds of 35 knots with exhilarating top speeds of 40 knots, great for charter clients who like a comfortable and sporty holiday. 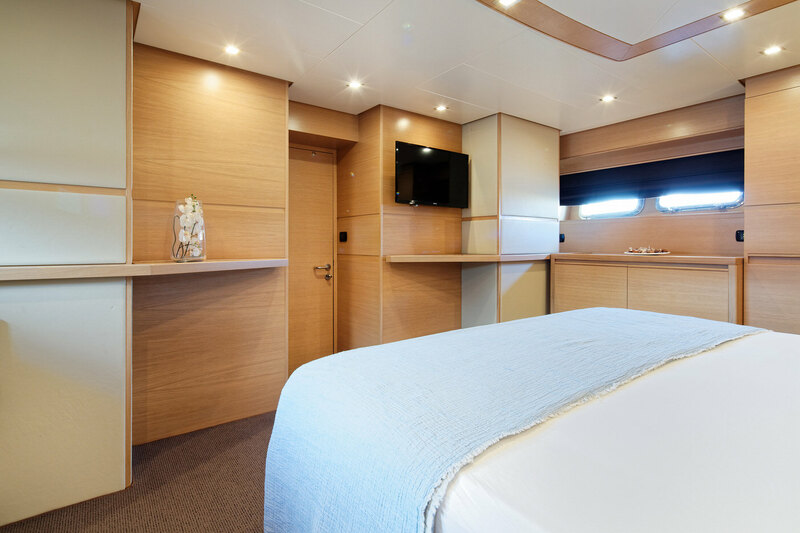 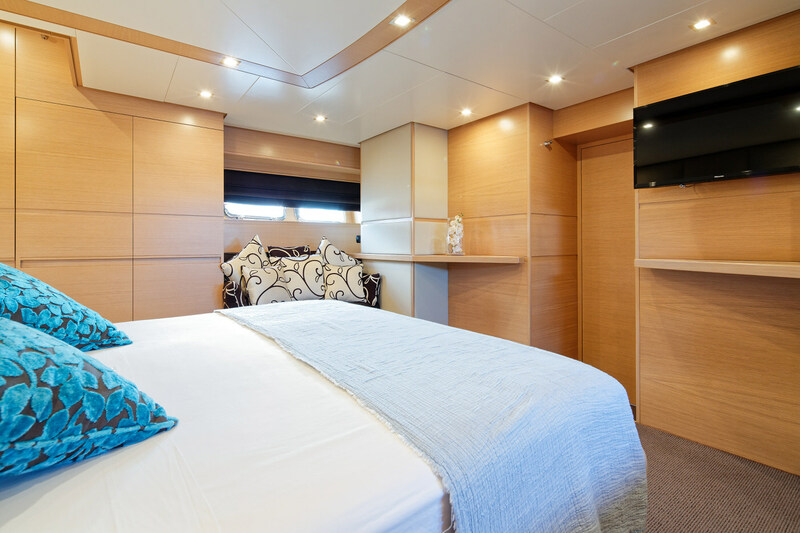 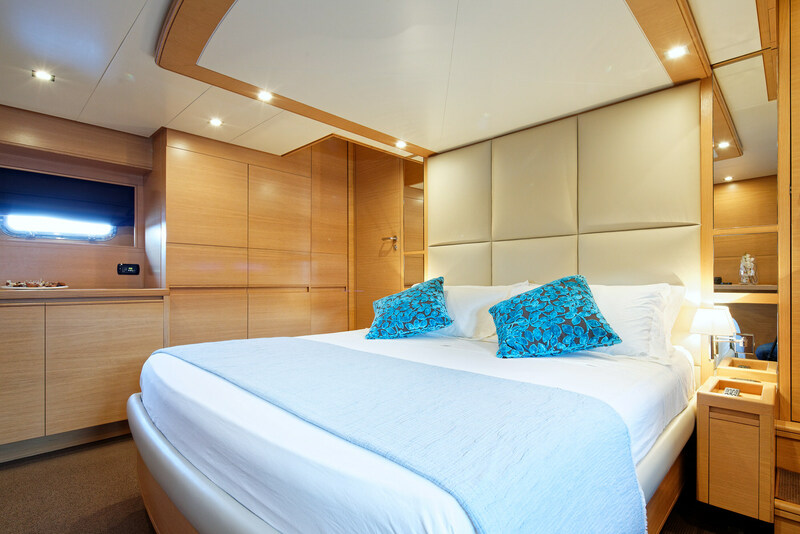 LUDI offers 4 spacious cabins, all with A/C and two of which are en suite: the Master stateroom, with a queen size bed, TV, small desk and sofa and her VIP suite that also comprises a queen size bed and a TV. 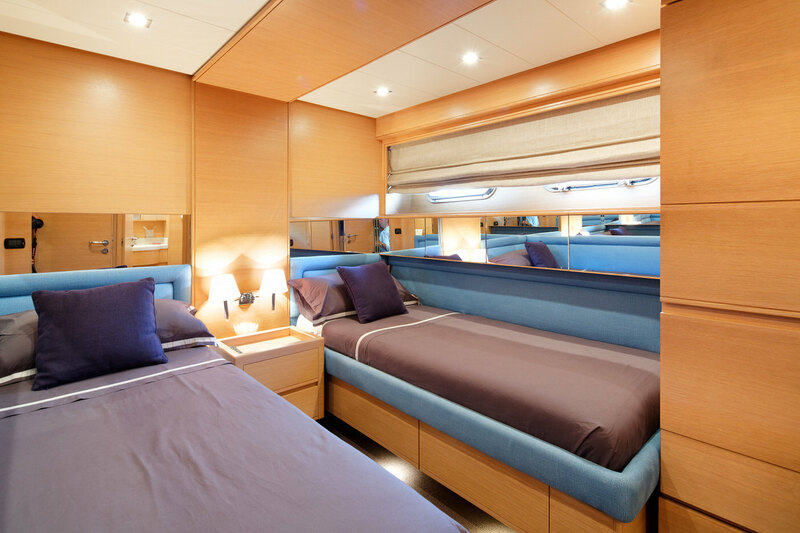 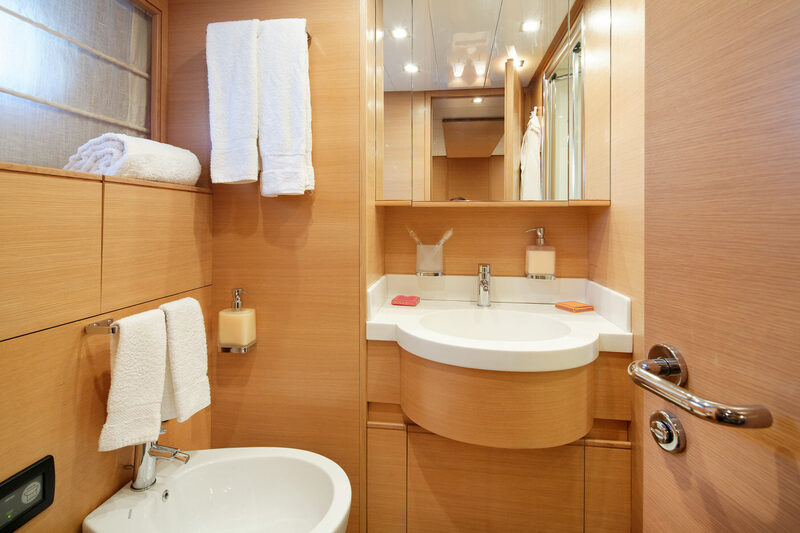 Her 2 twin cabins are also spacious with a TV in each.